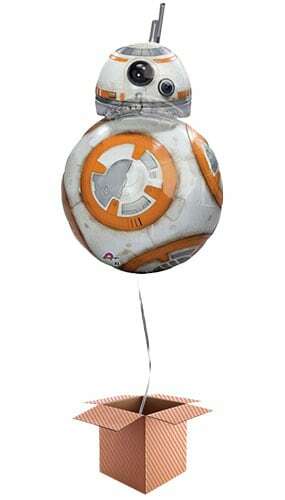 Star Wars BB-8 Supershape Foil Balloon – Inflated Balloon in a Box! The inflated foil balloon stays inflated for up to one week and comes complete in a box with ribbon, a balloon weight, brightly coloured tissue paper and a personalised message card. Colours may vary. To add a message to your personalised card, simply tell us your message in the ‘notes’ box at checkout.